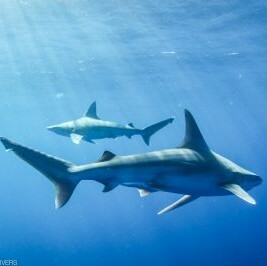 Let Hawaii Eco Divers make your trip to Hawaii happen! See the Hawaiian islands in a beautiful and adventurous way! 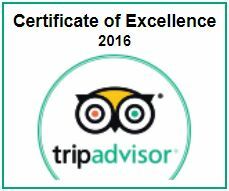 Hawaii Eco Divers offers Oahu scuba dive opportunities, including PADI training and certifications and guided tours. 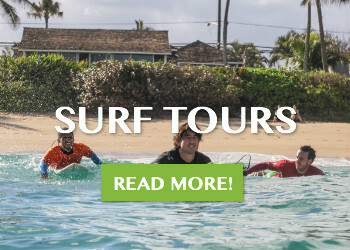 Our tours take place all around the island, especially the North Shore, Waikiki, Honolulu and the West Coast. Scuba dive tours with Hawaii Eco Divers are environmentally friendly, educational, and interactive with Hawaiian marine life! 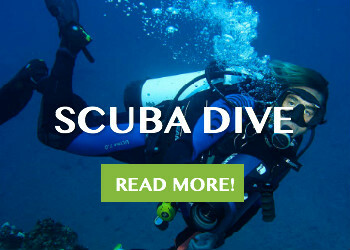 We focus on providing you the absolute best Oahu scuba dive opportunities. The dive sites we will explore will be based on seasonal and weather conditions of the time of your dive.  Typically, this brings us to the North Shore during the summer months (May to September) and the South Shore, including Honolulu and Waikiki locations, during the winter months (October to April). The winter months (October to April) bring enormous swells to the North Shore of Oahu. Surfers come from all over the world to enjoy the challenge and adventure in the warm Hawaiian waters. If you are a beginner – fear not! We will provide lessons in much calmer conditions. Though we provide adventure opportunities around the island, Hawaii Eco Divers is located on the beautiful North Shore of Oahu. Therefore, we dive mostly from shore at the Pupukea Conservation District. This is a Marine Sanctuary that prohibits boat operations, fishing, and wildlife alterations within the zone. 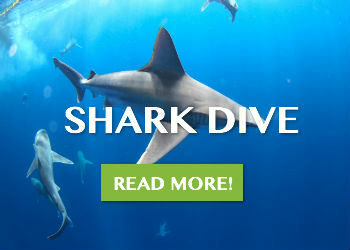 It includes dive sites such as Shark’s Cove, Three Tables and Waimea Bay. This area is safe and ideal for diving and snorkeling. A rich fish population with numerous endemic species can be found in all dive sites of the North Shore, which is also home to an amazing underwater topography with numerous caves, caverns,, and walls shaped by the large winter swells. Hawaii Eco Divers takes responsibility of this piece of paradise and works with the community to protect it, educating all our dive students and customers about the rules and regulations of the sanctuary zone. 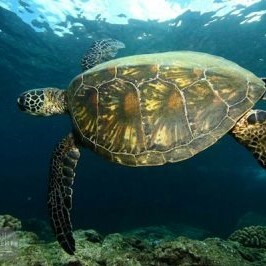 Hawaii Eco Divers is 100% committed to caring for the earth. We work hard to promote conservation, sustainability and marine life protection, which we reinforce with our students and clients at all times. Interested in the other islands? Let us connect you with our partners on Maui, the Big Island, Kauai, and Lanai. 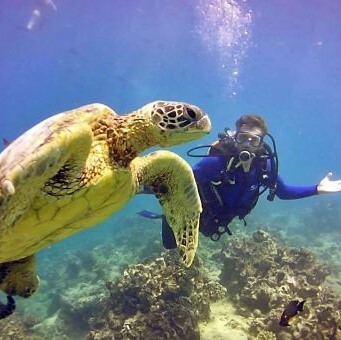 We are able to offer full packages for clients interested in scuba diving in Hawaii, no matter the island. 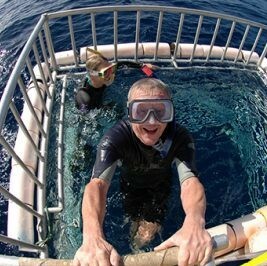 Hawaii Eco Divers offers so many other outdoor adventures! We can also help with accommodations in Hawaii, car rentals, and inter-island flights, providing a full travel package for your convenience. SEE THESE AMAZING ANIMALS UP CLOSE! PROTECTING OUR OCEANS IS OUR MAIN RESPONSIBILITY! 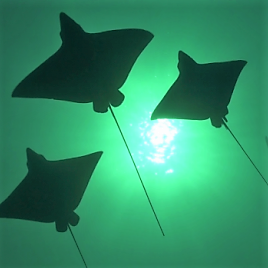 WE EMPHASIZE POSITIVE MARINE LIFE INTERACTION & EDUCATION IN ALL OUR TOURS & DIVE TRAINING!